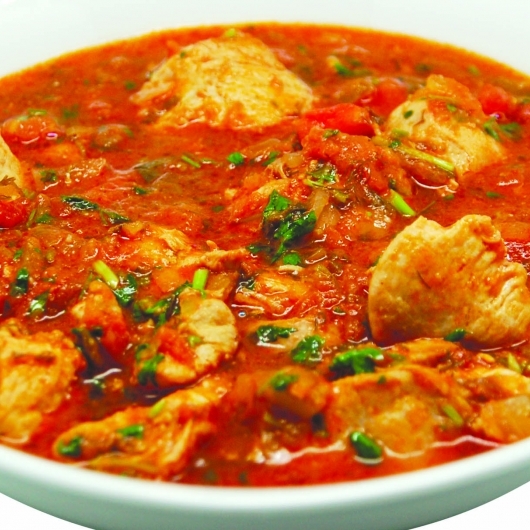 Chakhokhbili is a traditional Georgian dish of stewed chicken with fresh herbs. For preparing of this delicious meal, it is preferable to purchase the chicken from hennery. If you do not have fresh tomatoes, you may use tomato-paste instead. But, nevertheless, some tomato paste is to be added to the mashed fresh tomatoes. In our recipe we also add sweet pepper to this dish, which gives Chakhokhbili excellent flavor. “pheasant,” indicating its true origins and what the dish was initially made of. 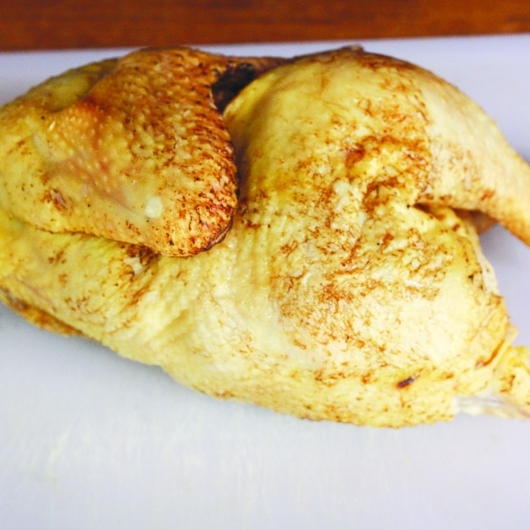 Clean, rinse and cut the chicken. Chop onions finely. 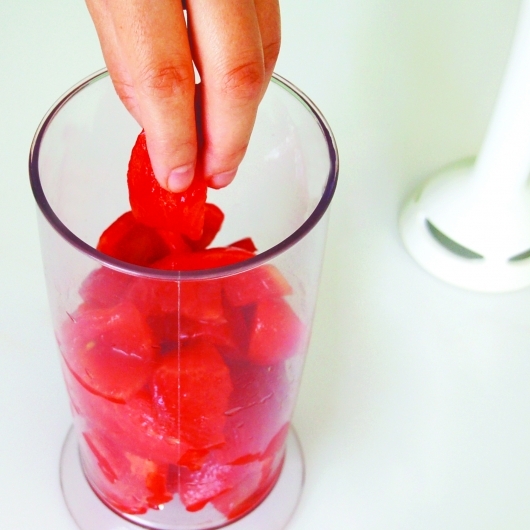 Parboil tomatoes, peel them and chop finely or mix in a blender. 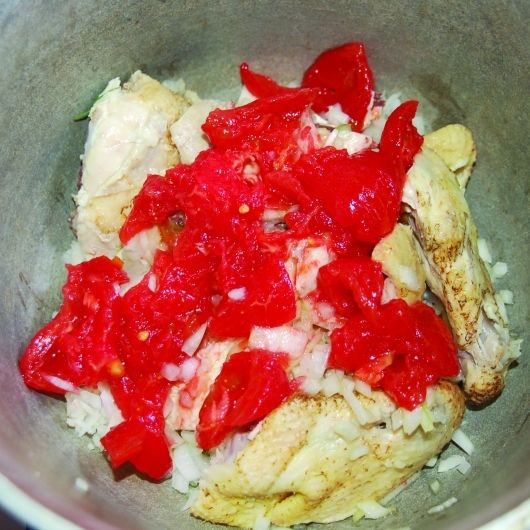 Clean sweet pepper, peel it and skim. 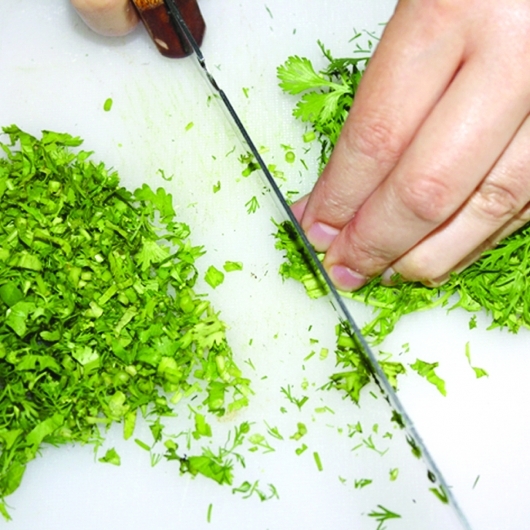 Chop up the greens. Put chicken and onions into the saucepan, add dried coriander and saute. Pour a mix of tomatoes, tomato paste and sweet pepper on sautéed mass. When it is thickened, add wine or water. Boil for 30-35 minutes. Sprinkle salt, pepper and chopped coriander in the end.